Video Filming – surely that’s a contradiction in terms? It’s true, the term ‘Video Filming’ is a bit odd. It’s either ‘videoing’ or ‘filming’, surely? Well no. We’ve all now come to accept that the act of recording with a video camera is considered as “filming” – and that’s just what we do. 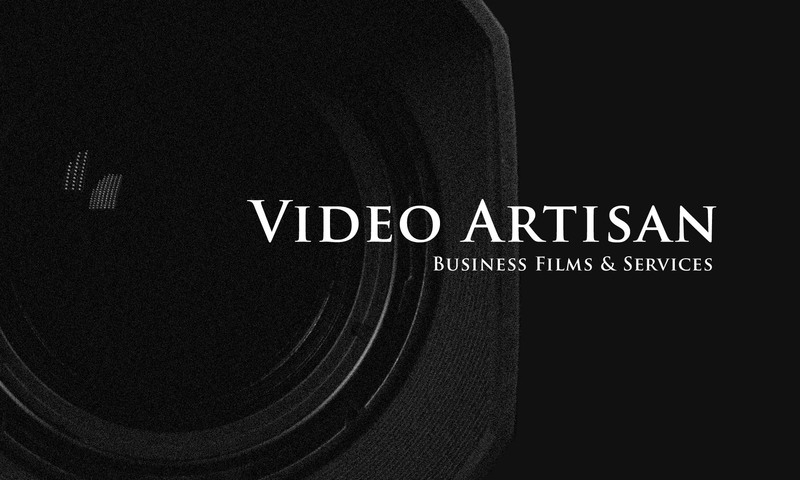 So, if you’re looking for any kind of business filming services then look no further than Video Artisan. We are a specialist provider – servicing clients throughout UK and overseas. Video Filming is our bag! Furthermore, are you looking to harness the power of YouTube to improve your search engine optimisation? Maybe you want to build a series of information films about you – or create a one-off company video? Therefore Video Artisan has the skills, resources and creative talents to deliver an imaginative and cost-effective solution for your next company video. Our location is perfect for servicing the UK with TFL connections, the M25 and Stansted Airport very close by. Filming internal video communications can often be dull and uninteresting – especially when you are not directly involved in the activity. However, every now and then a video communications job comes in which is rewarding, challenging, exciting and pushes us beyond our usual comfort zone. This job was an excellent example and not only put my filming skills and kit to the test but also tested my nerves and ability to rise (or should I say “descent”) to the challenge. When Video Communications becomes great PR! 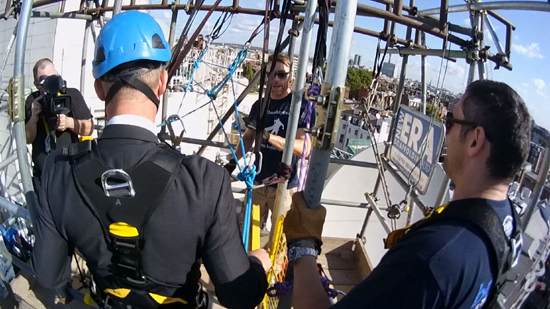 As part of their corporate social responsibility programme, on 20th August The Dorchester Hotel organised a sponsored abseil down the front of their iconic building in London’s Mayfair in aid of Cancer Research. 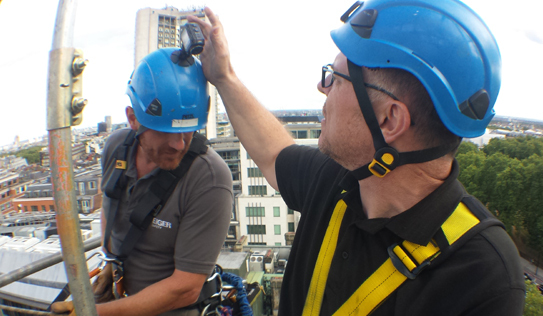 With over 60 members of staff taking part, and under the guidance of abseiling specialists, Eiger Safety, the event was filmed by Video Artisan as a memento for those involved and to provide the hotel with some excellent PR opportunities. 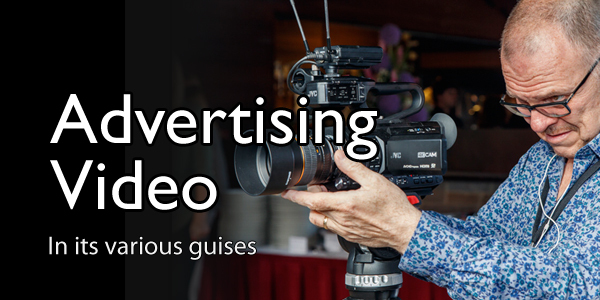 It is not uncommon for an event such as this to pass by unnoticed, but by commissioning a video communications film you get two stabs at gaining as much publicity as possible. This was not only important for the hotel but also for Cancer Research and those members of staff who showed great spirit in making the descent, many of which were taking part in their own time. However, there wasn’t much chance of this event going unnoticed as the abseil was set up on the front of The Dorchester in full view of passers by, guests coming and going from the hotel as well as members of the press who had gathered below. Unlike other video communications jobs this one required some specialist kit to give the viewer a much better view of the action and a sense drama. Apart from the obligatory safety kit (climbing hats, harnesses and other abseiling paraphernalia), Video Artisan had the opportunity to put their latest acquisition to good use – namely a JVC Adixxion Action Camera (GC-XA2BE) which was attached to the climbing hat of the main abseil instructor who was accompanying the volunteers as they descended down the building. The main action filming was carried out using our JVC GY-HM650. 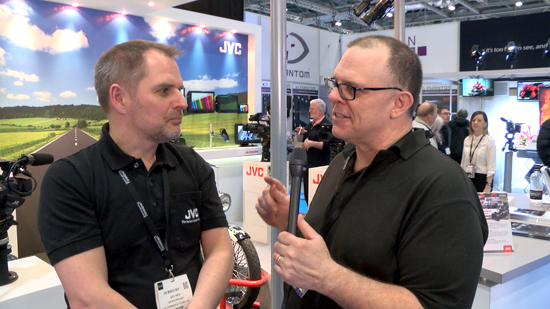 Having looked at the features and benefits of all the alternative action cameras, Video Artisan chose the JVC Action Camera for a number of reasons. We regularly use the GY-HM650 camera on video communications projects and were looking to add a small POV camera to capture shots that are otherwise impossible. 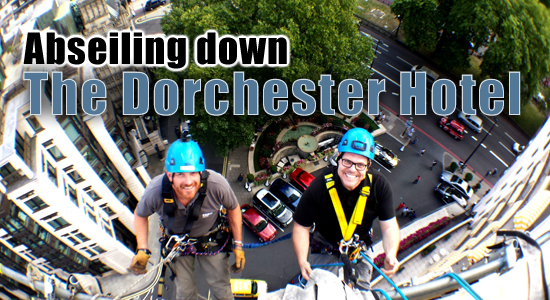 The Dorchester Hotel abseil gave us an excellent opportunity to put the camera to the test and provided us with an abseiler’s view of the activity. Apart from matching nicely with our GY-HM650, one of the main reasons for buying the Adixxion was its robustness. There were lots of opportunities for the camera to get knocked whist the abseilers made the descent down the hotel facia – and the last thing you need to worry about is the camera being damaged or, worst still, being knocked off its mounting and causing a hazard to the crowd below. We’ve also used the Adixxion on another corporate shoot for a golf tutoring product which required a shot from the golf ball’s perspective (blog coming soon) and it would have been impossible to use anything other than a small POV to achieve this. In the next couple of weeks we’ll also be using the camera’s 5m depth waterproof feature (without the need for any additional housing) on a shoot in the Dominican Republic. With a whole host of mounting options and accessories I can see the Adixxion being used time and time again. The other features that really sold it to me are that it uses a full-sized SD card, has a preview screen built in, can shoot up to 50/60fps in 1920×1080 resolution and has both side and bottom mounting positions. There were of course many safety issues to keep in mind throughout the day. The real action was at the top of the climb as the abseilers were prepared to go over the edge, so not only did we have to make sure that I was properly secured but also the main camera and anything attached to it. Filming the climbers’ reactions as they went over was very important, meaning that for much of the time we had to lean right over the edge to catch the action as they made their initial descent. We also had to film some of the action as they reached the ground (which had its own risks) and meant that we were constantly having to rig and de-rig as we made our way from ground to roof and back again. In these situations it would be very easy to lose sight of your own safety and that of those around you but thankfully the guys at Eiger Safety were keeping a constant eye on all activities whilst making sure it was a great experience for those taking part whilst ensuring that we always had the best shots. Having witnessed close-up the buzz and excitement throughout the day I simply couldn’t refuse the offer of having a go down the ropes myself. I have worked with Eiger Safety on their promotional video and have filmed in some amazing situations as they carried out their various height-safety services but never actually managed to do any abseiling myself. I can’t honestly say I’m fearful of heights but don’t mind admitting this was outside of my comfort zone. But, having watched so many people who were truly nervous going down for the benefit of others, I couldn’t resist their offer. 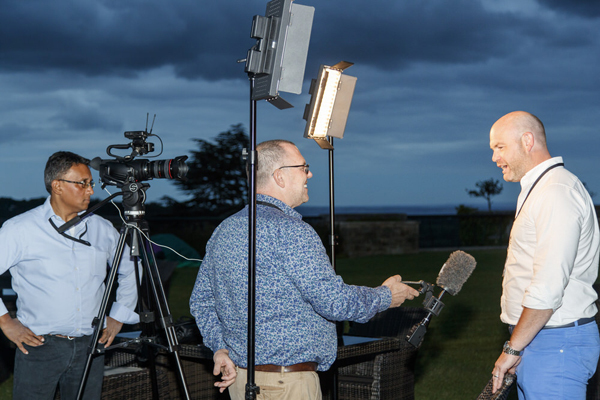 I like to think I have proved my dedication to helping organisations create excellent video communications – so next time you are doing something which is worth telling others about then I am your man. Any challenge accepted – as long as it is safe! Just before I went off on annual leave at the beginning of September I completed another website promotional film – this time for IT sales recruitment specialists, Robertson Sumner. Robertson Sumner is amongst the growing number of businesses who recognise the vitally important role that a website promotional film can play in raising their Internet visibility. In addition to helping to maintain their search engine rankings, this video will also form part of their general marketing activities and used to promote their business through social networking channels. But apart from the fact that a website with video content will rank higher than one that doesn’t, commissioning a website promotional film can also help businesses of all sizes to augment their brand and communicate their business culture. People buy from people, and there is no better way to introduce potential clients to the key people and values within a business than to get them on-screen with a short personal pitch. I think this is a good example of how simple and effective a website promotional film can be. 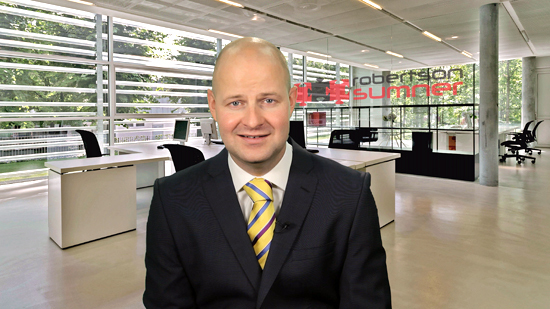 Running for just 1-minute 44-seconds, Robertson Sumner’s managing director, Marc Sumner, gives an introduction to their specialist IT sales recruitment business based in Gerrards Cross. It explains who they are, what they provide and why so many major IT companies choose Robertson Sumner as their preferred recruitment consultancy. Filmed, edited and mastered in just two days, it’s also a great example of just how cost effective and pain-free it can be to commission a website promotional film. Following a familiar production format it was also easy for us to provide Robertson Sumner with an accurate and realistic quotation over the phone – resulting in the film going from enquiry to delivery stages in very quick succession. The film was shot at their Gerrards Cross offices. 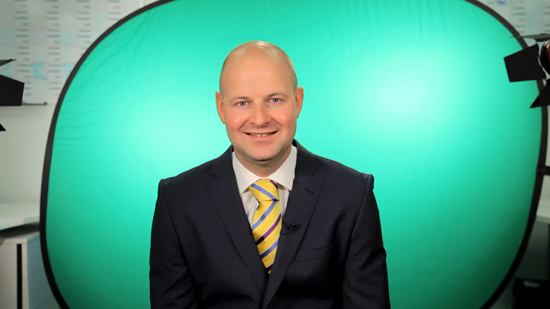 Whilst these were very neat, tidy and professional, Marc Sumner wanted his presentation to be filmed against a greenscreen and keyed over an alternate office background – similar to a previous film we produced for another recruitment company, Hyper Recruitment Solutions. The advantages of this are that we have more control over the finished look of the film and create minimal interruption to their real office in having to move furniture and fixings around which might prove to be distracting to the viewer. The film was shot on a Canon 5DMkii (running Magic Lantern software) using Canon EF 24-105mm 1:4 USM lens against our pop-up greenscreen. All post production and keying was carried out using Edius 6.5. The office image was supplied by www.iStock.com under licence and was then manipulated in PhotoShop by adding the Robertson Sumner logo to the glass partition wall and colour grading to match the shot of Marc. Needless to say we have another happy website promotional film customer who is now benefiting from the power of video in their marketing activities.